Recently I woke up with the following thought about life purpose: Life is all about: Growing, Loving, Hurting, Healing, & Evolving. Many people waste their time looking for their life purpose. They look for life purpose the same way as they look for lose change. They look in between the couch cushions and under the table. Your life purpose is not something you always find. It is something you evolve into. We grow: physically, mentally, emotionally, and spiritually. Through that growth we learn to love. We love: things, people, places, events, food, memories, and more. Inevitably we will face hurt. 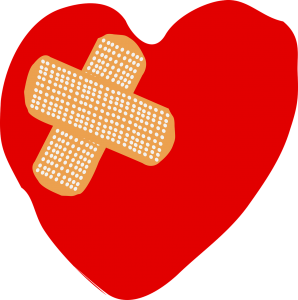 The hurt is often because of a correlation to that which we love: Death of a loved one, end of a relationship, loss of identity, and challenge to beliefs are all common sources of loss. When you exercise you get stronger by pushing against resistance – the muscles work hard, they break down, they heal, and then they become stronger. Life Purpose is found by healing from loss. Find the greatest gifts by healing. Purpose, higher calling, and contribution beyond ourselves. A deeper appreciation for the gift of this moment also evolves from the ashes of hurt. These are all formed through healing. At the new stage of evolution the opportunity to grow & love more purposefully exists. Hurt will happen again, when it does the pain that comes with hurt will still be there, but there will also be an awareness that you can heal, and there is purpose in your healing. Your healing will lead to your next evolution.